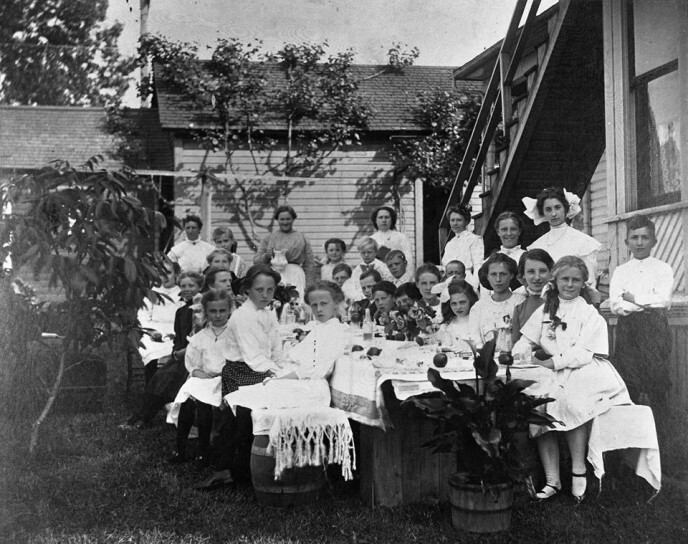 A children’s party is being held in the early 1900s in Roseburg. The children are all wearing their best, the boys in fancy suits and the girls in white dresses. Some of them even have huge bows in their hair. At the far end of the table, a few adults can be seen standing. This party was held in the backyard of Mr. Max Weiss, who owned the Roseburg Brewing and Ice Company.